Yet here we are in 2017, and Big Finish has released Torchwood One: Before the Fall, a three-disc release, the last of three “special” releases that have come out during a temporary six-month hiatus in their monthly range. 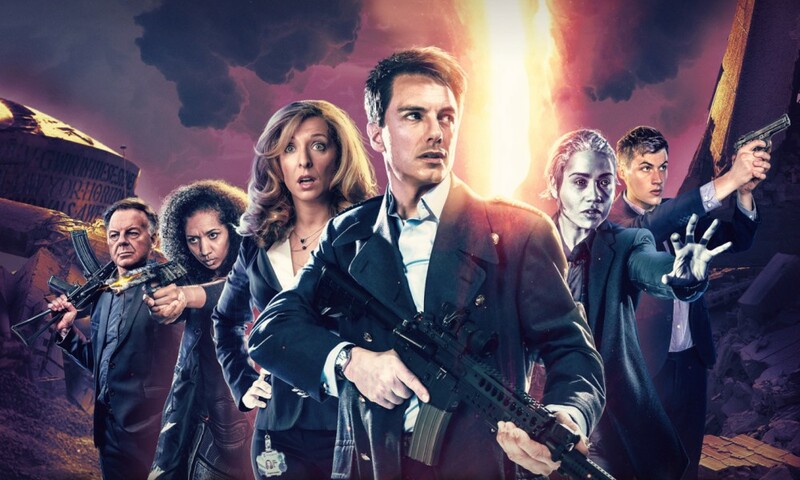 I suspect this release didn’t occur to anyone when they were dreaming up plans for Torchwood on audio in 2015, but came together following 2016’s excellent One Rule, a Torchwood prequel story starring Army of Ghosts’ Yvonne Hartman on the loose one night in Cardiff. After that, the need for more Yvonne stories seemed obvious. And that’s what Before the Fall really is. The three main characters are Tracy-Ann Oberman’s Yvonne, Gareth David-Lloyd’s Ianto Jones, and a new character, Sophie Winkleman’s Rachel Allan. Rachel might be our point-of-view character at first, and Ianto might be the character we know the best, but Yvonne is the protagonist and the star. Torchwood is hers and she is Torchwood, and she will do whatever she has to to protect Torchwood, Great Britain, and the world. I mean, I liked the character in Army of Ghosts, but if you’d told me I’d listen to four hours of her on audio and be happy for more, I would have been surprised, but here we are. Yvonne has a fun mix of competence, ruthlessness, bitchiness, and people skills that makes her endlessly interesting to listen to, and Oberman always handles it perfectly. As Yvonne teams up with Ianto’s roommate to defeat an evil conspiracy, or wheedles alien arms dealers into doing things her way, or runs staff meetings with charm and efficiency, you thrill to every minute of it. Hopefully this is not the last Torchwood One release, because I want as much Yvonne Hartman as I can get. Ianto was never a favourite character of mine on television, but let’s be honest, no-one on Torchwood was a favourite of mine. Big Finish have done well by him on audio, though, and that trend continues here. The writers and David-Lloyd do well in presenting a younger but still recognisable Ianto, eager for the approval of authority figures, and not always strongly principled, yet hyper-competent and charming. I also enjoyed Winkleman’s performance as Rachel, the naïve newcomer who provides our perspective on Torchwood One in the first episode. She feels like she stepped right out of a Russell T Davies intro story (which was, I am sure, the idea). To be honest, the only conceptual oddity here is that Yvonne and Ianto are it for screen-originated Torchwood One characters. It wouldn’t really surprise me to learn that it was impossible for Freema Agyeman to return as Adeola Oshodi, but Army of Ghosts and Torchwood proper established a number of Torchwood One characters like Gareth Evans, Matt Crane, Rajesh Singh, and of course the tragic Lisa Hallett, and none of them turn up here (though I think almost all of them are name-checked), meaning this doesn’t quite link into the TV programme’s depiction of Torchwood One as much as one might like. Writing around Lisa is probably the most awkward of them, given the focus on Ianto here. The overall story here is pretty good, though the set is a little uneven given that the first disc is definitely the best one. Though that ought to be a given, considering that New Girl is by Joseph Lidster, Big Finish’s best-ever writing discovery for sure. Like I said above, New Girl is kind of a Russell T Davies introductory episode pastiche, capturing the flavour of stories like Rose or Everything Changes or Smith and Jones or Invasion of the Bane, but with a clever twist. (Though one that maybe tries too hard to be too clever — I liked the idea of the twist, but there’s a key part of it that fails to come off in the execution.) 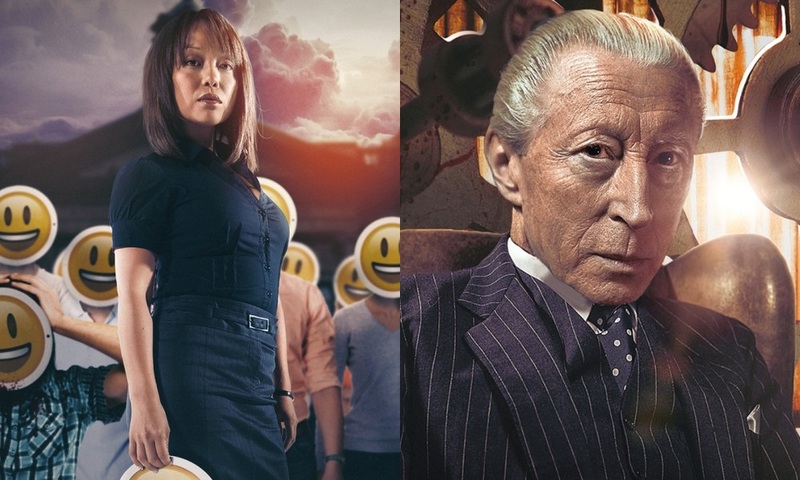 We see Torchwood One through her eyes, with all its diverse and interesting personalities, including psychic Pippa played by Lorelei King, and gruff inventor Thomas played by Tim Bentinck, both of whom I really enjoyed. Lidster has always had a gift for voice and for character, and New Girl plays to his strengths. The other two parts are enjoyable, but not up to the high standard set by New Girl. Jenny T Colgan’s Through the Ruins follows two parallel stories, one about Ianto on an away day, and one about Yvonne teaming up with Ianto’s roommate. The latter is amazing, especially Robert Daws as roommate Soren, but I found the away day plot felt like wheel-spinning and had some parts that didn’t quite add up for me. Matt Fitton’s Uprising ties the whole thing up in a typical Matt-Fitton-action-packed-last-disc spectacular — it’s satisfying enough, and has some good parts, but it won’t knock you over. On the whole, though, this is another strength for Big Finish’s Torchwood range, and probably my favourite of the 2016-17 Torchwood specials. Hopefully we hear more from Torchwood One, but even if we never do, this has been an incredibly satisfying and enjoyable tale that I never knew I wanted until I got it. Torchwood One: Before the Fall (by Joseph Lidster, Jenny T. Colgan, Matt Fitton; starring Tracy-Ann Oberman, Gareth David-Lloyd) was released by Big Finish Productions in January 2017.